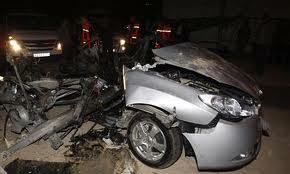 A commander of the Palestinian Islamic Jihad faction is dead after an Israeli strike in the Gaza Strip. Four other militants are also reported to have been killed. The strike in Rafah came after Palestinian rockets were fired into Israel on Thursday, without causing any injuries. At least three people are dead and 12 wounded after a bomb attack in the southeast of the country. Authorities say a suspected female suicide bomber carried out an attack in the town of Bingol in a mainly Kurdish area. The explosion happened at a café close to an office of the ruling AK Party. At least one of the injured is in a critical condition. A long jail term has been handed down for a killing that sparked riots in Russia. A Muslim man from the North Caucasus has been sent to prison for 20 years for the fatal shooting of an ethnic Russian. The murder after a football match last December sparked some of the country’s worst ever ethnic violence since the collapse of the Soviet Union. Islamists point out rightly that Jihad doesnt mean violent attacks but a struggle. This perpetual ‘Stuggle’ mandatory upon all Belivers till Sharia reigns supreme and dominant over the world is quite visible enough and escalating no matter what spin is given to the concept. 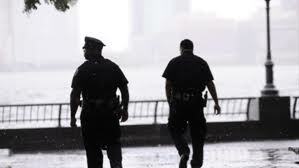 3 Islamist suspects had entered America and are currently under investigation by New York Police Department. How many more out there still? The War on Terror seems to be more of a Global Jihad against the Free World and there seems no respite to this perpetual War on the Infidel World. Aronite Thinking is that the War on Terror is more now a continous War on the Infidel World, escalating and incessantly engulfing the Free World of the ‘Infidels’. US authorities are investigating a credible but unconfirmed threat that al-Qaeda plan attacks on New York and Washington to coincide with the 10th anniversary of the September 11 assaults. Police are questioning three people who recently entered the country. This was the first massive attack the US ever suffered on its mainland: the Trade Center in New York! The Pentagon! If passengers hadn’t overpowered the hijackers on a fourth plane, they might have struck the White House! The anguish of all who lost loved ones is there in the ‘never forget’ banners. Yet a great nation was also humbled, outraged as never before. Ground Zero smoked for months after 9/11. At first the work crews and rescuers called it the pile. But even as the cinders of the famous World Trade Center Twin Towers in New York settled, memorial plans hovered. For years, insurance companies, the owners, government agencies and developers struggled to transform the disaster site. The work is still in progress. But for the tenth anniversary of the towers’ destruction a monument to all the people who died in all the attacks that day is ready. In a chronology of conflict, 9/11 propels the US to war. In the immediate aftermath, Osama bin Laden is the prime suspect behind the attacks. A vast manhunt is launched. Bin Laden stakes claim to his mastermind role well after 9/11. The US military is long since in Afghanistan. Autumn 2001: the ‘War on Terrorism’ declared by the George W. Bush administration includes aerial bombardment of the Taliban. The Northern Alliance militia in Afghanistan are also given support to overthrow the regime accused of protecting the al Qaeda chief.